Kokoda trail commander General of the Army Douglas MacArthur (26 January 1880 – 5 April 1964) was an American general and field marshal of the Philippine Army who was Chief of Staff of the United States Army during the 1930s and played a prominent role in the Pacific theater during World War II. He received the Medal of Honor for his service in the Philippines Campaign, which made him and his father Arthur MacArthur, Jr., the first father and son to be awarded the medal. He was one of only five men ever to rise to the rank of General of the Army in the U.S. Army, and the only man ever to become a field marshal in the Philippine Army. In February 1942, as Japanese forces tightened their grip on the Philippines, MacArthur was ordered by President Roosevelt to relocate to Australia.On the night of 12 March 1942, MacArthur and a select group that included his wife Jean and son Arthur, as well as Sutherland, Akin, Casey, Richard Marshall, Charles A. Willoughby, LeGrande A. Diller, and Harold H. George, left Corregidor in four PT boats. MacArthur, his family and Sutherland traveled aboard PT 41, commanded by Lieutenant John D. Bulkeley. The others followed aboard PT 34, PT 35 and PT 32. MacArthur and his party reached Del Monte Airfield on Mindanao, where B-17s picked them up, and flew them to Australia. His famous speech, in which he said, “I came through and I shall return”, was first made at Terowie, a small town in South Australia. April 1942, MacArthur was appointed Supreme Commander of Allied Forces in the Southwest Pacific Area (SWPA). Lieutenant General George Brett became Commander, Allied Air Forces, and Vice Admiral Herbert F. Leary became Commander, Allied Naval Forces. Since the bulk of land forces in the theater were Australian, George Marshall insisted an Australian be appointed as Commander, Allied Land Forces, and the job went to General Sir Thomas Blamey. Although predominantly Australian and American, MacArthur’s command also included small numbers of personnel from the Netherlands East Indies, the United Kingdom, and other countries.MacArthur established a close relationship with the Prime Minister of Australia, John Curtin,although many Australians resented MacArthur as a foreign general who had been imposed upon them.MacArthur had little confidence in Brett’s abilities as commander of Allied Air Forces,and in August 1942 selected Major General George C. Kenney to replace him. The Japanese struck first, landing at Buna in July, and at Milne Bay in August. The Australians repulsed the Japanese at Milne Bay, but a series of defeats in the Kokoda Track campaign had a depressing effect back in Australia. On 30 August, MacArthur radioed Washington that unless action was taken, New Guinea Force would be overwhelmed. He sent Blamey to Port Moresby to take personal command. Having committed all available Australian troops, MacArthur decided to send American forces. The 32nd Infantry Division, a poorly trained National Guard division, was selected. A series of embarrassing reverses in the Battle of Buna-Gona led to outspoken criticism of the American troops by the Australians. MacArthur then ordered Lieutenant General Robert L. Eichelberger to assume command of the Americans, and “take Buna, or not come back alive. MacArthur moved the advanced echelon of GHQ to Port Moresby on 6 November 1942. After Buna finally fell on 3 January 1943,MacArthur awarded the Distinguished Service Cross to twelve officers for “precise execution of operations”. This use of the country’s second highest award aroused resentment, because while some, like Eichelberger and George Alan Vasey, had fought in the field, others, like Sutherland and Willoughby, had not. For his part, MacArthur was awarded his third Distinguished Service Medal, and the Australian government had him appointed an honorary Knight Grand Cross of the Order of the Bath. Sir Thomas Albert Blamey (1884-1951), army officer and commissioner of police, was born on 24 January 1884 at Lake Albert, near Wagga Wagga, New South Wales. With the outbreak of WW1 Blamey served briefly at the War Office in London before joining the 1st Australian Division in Egypt as general staff officer, 3rd grade (intelligence). He landed at Gallipoli on 25 April 1915, with Major General (Sir) William Bridges and Colonel (Sir) Brudenell White, and next month led a small patrol behind enemy lines in a daring effort to locate Turkish guns.Blamey was promoted temporary lieutenant colonel and went back to Egypt to help form the 2nd Division; he returned to Gallipoli in September and was appointed the division’s assistant-adjutant and quartermaster general. In the early months of 1916 the A.I.F. began moving to France. By July, when the 1st Division was in action on the Somme, Blamey had succeeded White as chief of staff. After short periods in command of a battalion and a brigade (in which he saw no action), Blamey continued as G.S.O.1, 1st Division, until June 1918. He was then promoted temporary brigadier and made chief of staff of the Australian Corps under Lieutenant General Sir John Monash. Working in close partnership with his commander, Blamey helped to plan the successful battle at Hamel in July, the offensive beginning on 8 August and the subsequent breaking of the Hindenburg line. Blamey was not the driving force behind the corps’ achievements—with a commander of Monash’s calibre that was not possible. Nor was he was a mere clerk, responding to Monash’s directions. With strong views on the conduct of operations, he was not afraid to express his opinions to Monash and—on his commander’s behalf—kept a firm grip on activities throughout the corps. Blamey bore wide responsibility and gained a deep understanding of all facets of warfare. WW2 was declared in September and in October Blamey was promoted lieutenant general and appointed to command the 6th Division, the first raised for the new A.I.F. In early 1940 the government decided to raise another division. Blamey received the resulting corps command, as well as a charter spelling out his responsibilities as commander of the A.I.F. His advancements reflected his quickness of mind and force of personality more than a scarcity of other suitable officers. His most obvious error was his failure to inform the Australian government early enough that he had strong doubts about the wisdom of the Greek campaign. Learning this lesson well, he never again failed to let the government know his views. The pressure of the campaign opened a rift between Blamey and Rowell, which was to have important consequences. While Rowell and Brigadier William Bridgeford were extremely critical of Blamey’s performance in Greece, this opinion was not widely held. The defence of Australia took on a new urgency in December 1941 with the entry of Japan into the war. Within the Army there was a concern that Bennett or Lavarack would be appointed as Commander in Chief. In March 1942, Vasey, Herring and Steele approached the Minister for the Army, Frank Forde, with a proposal that all officers over the age of 50 be immediately retired and Major General Horace Robertson be appointed Commander in Chief. This “revolt of the generals” collapsed with the welcome news that Blamey was returning from the Middle East to become Commander in Chief Australian Military Forces. General Douglas MacArthur arrived in Australia in March 1942 to become Supreme Commander South West Pacific Area (SWPA). In addition to his duties as Commander in Chief, Blamey became Commander of Allied Land Forces, South West Pacific Area. The Allied command structure was soon put under strain by Australian reverses in the Kokoda Track Campaign. MacArthur was highly critical of the Australian performance, and confided to the Chief of Staff of the United States Army, General George Marshall, that “The Australians have proven themselves unable to match the enemy in jungle fighting. Aggressive leadership is lacking.” MacArthur told Curtin that Blamey should be sent up to New Guinea to take personal command of the situation.Curtin later confessed that “in my ignorance (of military matters) I thought that the Commander in Chief should be in New Guinea.” Jack Beasley suggested that Blamey would make a convenient scapegoat: “Moresby is going to fall. Send Blamey up there and let him fall with it”. Blamey felt he had no choice, but his assumption of command of New Guinea Force sat uneasily with Rowell, the commander of I Corps there, who saw it as displaying a lack of confidence in him. A petulant Rowell would not be mollified, and, after a series of disagreements, Blamey relieved Rowell of his command, replacing him with Herring. More reliefs followed. Herring relieved the widely respected and much admired Brigadier Arnold Potts of the 21st Infantry Brigade, replacing him with Brigadier Ivan Dougherty on 22 October. Five days later, Blamey replaced Allen as the 7th Division’s commander with Vasey. Nor were generals the only ones to be removed. Blamey cancelled Chester Wilmot’s accreditation as a war correspondent in October 1939 for spreading a false rumour that Blamey was taking payments from the laundry contractor at Puckapunyal.Wilmot had later been reinstated, but on 1 November 1942, Blamey again terminated Wilmot’s accreditation, this time for good. In February 1944 there was criticism in Parliament of the way that Blamey had “side tracked” various generals; the names of Bennett, Rowell, Mackay, Wynter, Herring, Lavarack, Robertson, Morshead and Clowes were mentioned. Blamey responded,We had twelve divisions to fight the Jap. On arrival of other equipment, other considerations came in and we now have six divisions. Can you tell me what should have been done with the surplus generals? I do know that on every occasion I proposed to terminate a general’s appointment, politicians have tried to stop it. When the war was over, Blamey offered to resign as the post of Commander in Chief was now a purely administrative one. His offer was not accepted, but on 14 November, the government abruptly announced that it had accepted his resignation, effective 30 November. A farewell party was held in Melbourne, which was attended by 66 brigadiers and generals. Blamey was given time to write up his dispatches, and was formally retired on 31 January 1946. Forde asked Blamey if he wanted anything in way of recognition for his services, and Blamey asked for knighthood for his generals, but Forde could not arrange this. In the end, Forde decided to gift Blamey the Buick staff car he had used during the war, which had clocked up 50,000 miles (80,000 km) in the Middle East and the South West Pacific. During 1950 Blamey was promoted to the rank of field marshal Australia’s only one. Blamey was a strong commander and this was required during the second world war, however his ignorance of the Kokoda trail terrain and his rabbit running speech where major flaws’ in his leadership that many Kokoda track veterans will never forgive. Born on the 29 March 1895 in East Malvern, VIC, George was one of Australia’s most popular and photogenic Officers of the second world war. George enrolled in the Royal Military College, Duntroon in March 1913 and was in a class that graduated early after the outbreak of the First World War. He was commissioned as a lieutenant and reached the shores of France in March the following year, seeing action at the Somme with the 2nd Divisional Artillery. In August he was promoted to captain and given command of the 13th Field Battery in November. From August 1917 until 1919, Vasey served as Brigade Major of the 11th Infantry Brigade; he was awarded the Distinguished Service Order in 1918. After his AIF appointment ended in November 1919, Vasey returned to the militia as a lieutenant but held the honorary rank of major and served with the militia until the outbreak of the second world war. Vasey was appointed as Blamey’s Assistant Adjutant and Quartermaster General in the 6th Division. He sailed for Palestine in December 1939. In March 1940 he was promoted to temporary brigadier commanding the 19th Brigade. Vasey performed well in the disastrous Greek campaign, often visiting forward areas and was highly regarded for his bravery and coolness under fire. At the front line he conducting skilled defensive actions that saved many lives. 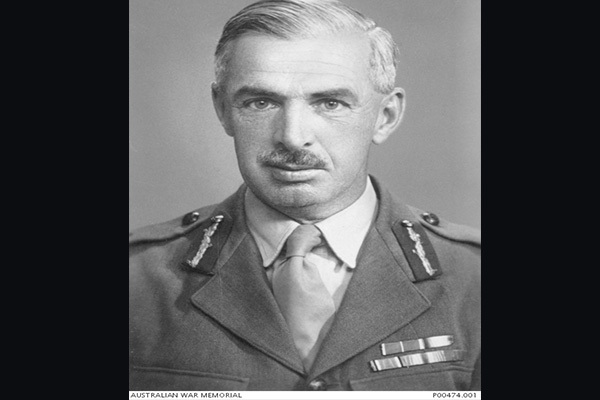 He then was appointed command of the Australian forces in Crete. Vasey returned home to defend Australia directly for the first time. Vasey was promoted to temporary major general, and in September 1942 went to Port Moresby to command the 6th Division. A month later he took over the 7th Division, then engaged in the famous battle for the Kokoda Trail.On Vasey’s trek over the Kokoda trail he advanced the Brigade headquarters past the point of the battalion headquarters in order to put pressure on the advancing Australians. Vasey’s men then fought in the battles for Gona and Sanananda on Papua’s coast.Vasey was loved by his men but the respect in which he was genuinely held made him one of the AIF’s most popular officers. In 1943 he was involved in the successful capture of Lae before sending his troops up the Markham and Ramu valleys. In February 1944 Vasey became ill and was evacuated to Australia. When Vasey’s returned to good health he was again on his way back to the front lines when on 5 March he flew to New Guinea to take up his command but the Hudson aircraft in which he was travelling crashed into the sea off Cairns during a cyclone, killing Vasey and all on board. Arthur Allen was born on 10 March 1894 at Hurstville, Sydney. He attended Hurstville Superior Public School before gaining work as an audit clerk with the New South Wales Government Railways. He was commissioned in 1913 and appointed to the Australian Imperial Force (AIF) in June 1915. He embarked for Egypt with reinforcements for the 13th Battalion in August. In March 1916 he was promoted to captain and assigned to the 45th Battalion. Allen arrived in France on June 1916 and fought at Pozières in August. He was at the front line on the Somme in 1917 and leading his men through the battle of Messines. His fine out standing leadership whilst surrounded by heavy losses where Allen earned the Distinguished Service Order. Later he was promoted to major in July. He continued to leadership of men in combat situations, at Dernancourt in April 1918 and then as a lieutenant colonel in charge of the 48th Battalion at Monument Wood. Allen was awarded the French Croix de Guerre after the war for his outstanding service on the Western Front. Allen became an accountant after the war and in December 1921. Allen enlisted in Australia’s militia and continued to advance his military career. In 1933 he became a full colonel in charge of the 14th Brigade. Five years later, in 1938, he became a brigadier and in October 1939 was given command of the 16th Brigade in the AIF’s 6th Division. His rotund stature earned him the nickname “Tubby”. By 1940 Allen was in the Middle East and his brigade fought at Bardia and Tobruk. In March he left North Africa for the ill-fated Greek campaign, for which he was awarded the Greek Military Cross. His next campaign, in command of the 7th Division against the Vichy French in Syria, was more successful and he was promoted to general in August 1941. He returned to Australia in March 1942 and in August took charge of operations against the Japanese advance along the Kokoda trail towards Port Moresby in what many considered the battle for Australia. 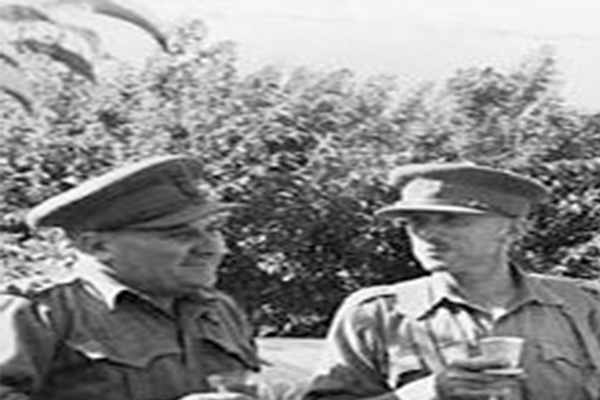 Again successful, Allen nevertheless came under what many consider unfair criticism from American General Douglas MacArthur and Australian General Thomas Blamey for moving too slowly in pursuit of the Japanese across the Owen Stanley ranges. MacArthur and Blamey were ignorant to the conditions the Allen and his man faced on the Kokoda trail. Allen faced a lack of supplies, which were difficult to deliver to the front at Kokoda. In one instance the supplies were dropped to far forward against his request and severely delayed the advance. He was relieved of his command on 29 October. Lesser appointments followed but in October 1944 Blamey recommended Allen be appointed Knight Commander of the Order of the British Empire. After the war Allen became a senior partner in a Sydney accountancy firm. He died in January 1959 and was given a military funeral before being cremated. Major-General Tomitaro Hori, the Commander of Nankai Shitai also known as the South Sea Forces was a stubborn and determined man some would say stubborn to a fault who had set about his Military Operations ruthlessly and effectively (well on paper). Hori’s orders from the Japanese high command were to find a suitable defensive position as forward as he could go and hold the line until reinforcements could be sent. This would be at Ioribaiwa during which time the Japanese were fairing badly at Guadalcanal. The order to withdraw inevitably to the northern beaches Hori kept to himself as his troops were anxious to advance. Hori was from Kobe and was a graduate of the Army Military College in 1932 he was posted to the Headquarters of the Shanghai Expeditionary Army before being placed into command of the 55th Infantry Division, he was a dedicated Officer and was aged 55 by the time he arrived to trek Kokoda into battle. Australian media depicted him as a bespectacled pudgy short man, none of which he was. Hori’s force entailed 5,000 men, 1,000 horses and 100 vehicles. After the atrocities in China Hori drafted a manual a Guide to Soldiers in the South Seas to prevent such happenings from occurring again. It contained five simple rules: do not needlessly kill, looting and violating women is forbidden, buildings must not be burnt, keep secrets, and ration ammunition carefully. In late September the 144th Regiment left their hometown of Kochi there was no parade through the town, so secret was their departure that civilians were told to pull down their shutters the soldiers were not even permitted to visit their families. It was this Regiment that would attack Isurava with the 41st held in reserve. Hori’s tactics at Isurava would be to use one unit to attack the Australians from the front while the remaining force would come around the flanks (twin flanking manoeuvre) and rear this was classic Japanese Infantry tactics. The assault would be made under the cover of fog or rain and so it was on the 25th August the advance began; troops on both sides became confused with their locations, the Japanese struggled to maintain fire and movement and control. Many of Hori’s troops fell back in the forced march to Isurava this came about as a result of weight loads in excess of 30 kilogrammes, the troops had been training on Rabaul with the same weights up and down mountains; however when they reached the Northern Beaches they were given little rest time and made to force march 120 kilometres. The gun (Artillery) company of the 144th did not reach the main Infantry until the last day of battle. Hori personally commanded the South Seas Detachment at Isurava but was not to take command like this again until November. After the 30th the last day of battle the Australians could hold on for no longer following endless Japanese bayonet charges and finally Artillery being laid to bare the withdrawal to Eora Creek was inevitable and Japanese forward movement commenced. Isurava wasted many Japanese soldiers and put General Hori’s plans well behind schedule. The second Japanese thrust was now under way to coincide with the force in Kokoda, the Navy had landed in Milne Bay. Throughout October the ragged and exhausted men of the IJA many without boots made the arduous walk back to the northern beaches. Near the Kumusi River battle-fit soldiers were assembled in one last ditch attempt to prepare for a new offensive; however the retreat continued. Hori was anxious to get Giruwa as quickly as possible, so he and his Staff Officers boarded a large palm log raft and headed down the Kumusi unfortunately the raft became stuck on a submerged tree two kilometres downstream it was abandoned and all made their way ashore. Making their way along the bank the men discovered a small canoe Hori commandeered the canoe along with his Chief of Staff Colonel Tanaka. Private Fukuoka a fisherman in civilian life was ordered to paddle and so the three set of towards the mouth of the Kumusi river. The weather had suddenly turned bad and a violent thunderstorm whipped up the sea and instantly capsized the canoe. Tanaka could not swim and so drowned both Hori and Fukuoka began to swim for shore. 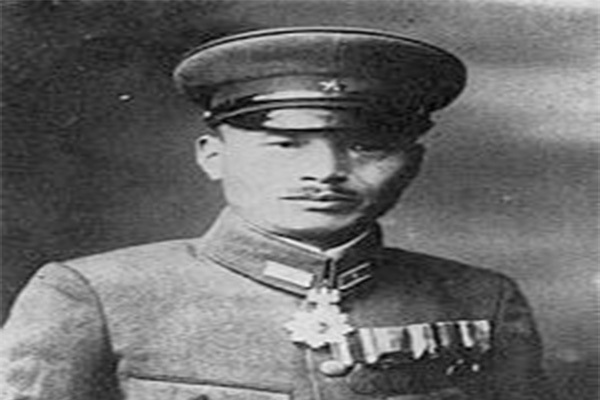 The last words from Hori were to the Private and he said ‘I haven’t the strength to swim any further, tell the troops Hori died here’. He then lifted both arms and cried out ‘Tenno Heika banzai’ (Long live the Emperor) and with the words he sank beneath the waves. One of the Australian Army’s most controversial senior officers in the Second World War, Sydney Rowell was born on 15 December 1894 at Lockleys, South Australia. Rowell became one of the first to graduate from Royal Military College Duntroon. Rowell joined his regiment in Egypt until early 1915. Soon afterwards he was injured and broke his leg. He arrived at Gallipoli on 12 May 1915 but was soon hospitalised in Malta. He returned to his unit but was evacuated with typhoid in November and returned to Australia. He taught at Duntroon Royal Military College until June 1917. Rowell was appointed Chief of Staff in the 6th Division shortly after the outbreak of the Second World War. 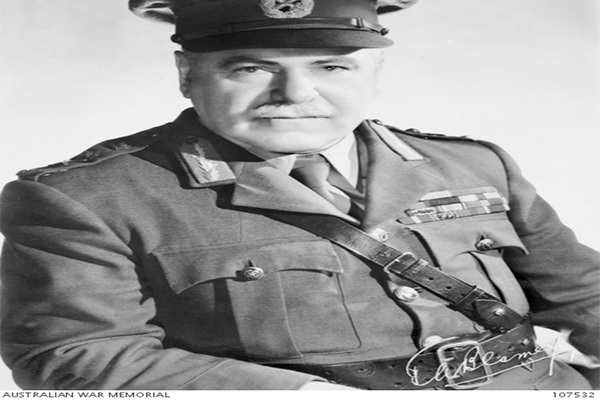 In 1940 he was appointed Brigadier, General Staff on the headquarters of I Australian Corps under Thomas Blamey. Relations between the two men soured irreparably after the Greek campaign of 1941. Rowell felt Blamey to be both “incompetent” and guilty of poor judgement and a coward. Blamey considered Rowell to be pampas and lacked in the stamina needed during a long desperate campaign. Rowell given the task to run the 7th Division’s operational headquarters during the Syrian campaign. During 1941 he served as Deputy to the Chief of General Staff. In March 1942 Rowell was given command of I Corps and promoted to temporary lieutenant general. He was sent to Papua to command New Guinea Force in July 1942 and made responsible for defending Port Moresby and recapturing Kokoda airstrip. Rowell had some difficulties in supply Pott’s and the men of the 21st brigade on the Kokoda track and for a period of about 5 days the offensive was stalled allowing the Japanese to position themselves well and gain the upper hand in the battle for the Kokoda track and Port Moresby. The battle for Australia and the Kokoda trail did not go well for Rowell and the 21st brigade as they were forced back time and time again, although they did infact wear the enemy down and ground them to a halt eventually pushing the Japanese back towards the sea and recapturing the Kokoda tail and the much desired Kokoda airstrip. 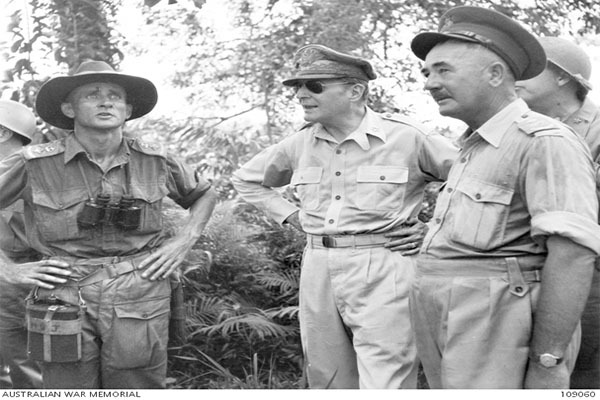 Blamey was sent to Papua from Australia by General Douglas MacArthur, the supreme allied commander in the South-west Pacific. Rowell was deeply offended and did not wont to serve under Blamey again and in a series of heated arguments Blamey dismissed Rowell along with Potts and sent them back to Australia. Balmey took the kudos for recapturing the Kokoda track although Rowell, Pott’s and the men of the 21st brigade laid down many lives and the foundations for the recapture of Kokoda station. Rowell worked in the War Office in London and was involved in high-level planning for the fighting that would follow D-Day. After the war, Rowell served as Vice Chief of the General Staff. In 1950 he became Chief of the General Staff. He retired to Melbourne in 1954, where he held a number of company directorships. He died on 12 April 1975. With the out break of WW1 Potts enlisted in the first Australian Imperial Force (AIF), an all volunteer force that was formed to take part in active service overseas. January 1915 Potts was called up to the 16 battalion and quickly promoted to acting sergeant at the young age of 18. He took part in the bloody battles of Gallipoli and served with high destination until he was wounded in July 1918, which he was luckily to survive. After the outbreak of WW2 Potts again enlisted in the second Australian Imperial Force (AIF). Potts was granted the rank of major and assigned to the 2/16 battalion, which he played a key part in enlistments and training the battalion for it’s up coming conflicts in the Middle East. During the Syrian campaign Potts was promoted to lieutenant colonel and placed in charge of the 2/16th. 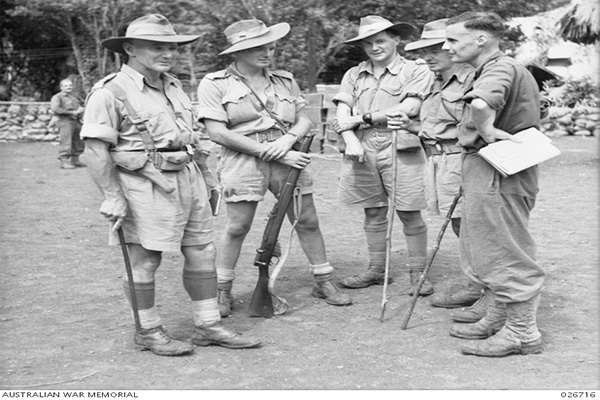 Prior to the Kokoda Track campaign he was given the duty of being in charge of the 21st brigade. Potts was the type of officer who was widely respected by his staff and men, however he was the soldiers soldier at heart. One of his biggest flaws is that he was to close to his men and cared to much about their well being, so much so that he put his own career on the line for their safety. Whilst he was a smiling and jovial officer he could cut men down to size in a few words. Potts was also a fantastic letter writer and this is found in many of his letters home to his wife. During the Kokoda trail battles Potts was unable to hold the Japanese thrust towards Australia and was forced to come up with a plan called the fighting withdrawal. This reversal of battle entailed the diggers to dig in and send out a patrol every 15 minutes until contact with the Japanese was made. The patrol would hand out a fair hammering and return to the main force and report the position. The Japanese would follow and close in around the dug in Australians and when the could be held no longer the Australians would withdraw to a position which the next lot of diggers were dug in and repeat the process all over again. This slowly wore the Japanese down and saw their ultimate destruction. He had a distinguished career, however, his place in history has largely been unacknowledged due to his dismissal by Blamey, at the very point when Potts had fought the Japanese to exhaustion. Australian high Command couldn’t understand the situation of the battle and why the diggers were retreating. Instead of listening to Potts who had walked the Kokoda trail and knew first hand the tactics required to combat the Japanese he was isolated to the Northern Territory. Following the war, Potts returned to farming in Western Australia and briefly attempted to pursue a career in politics, standing unsuccessfully in 1949 as a candidate for the federal seat of Forest on the House of Representatives. In 1960 Potts was awarded the Order of the British Empire in the New Years Honors List. After suffering a number of strokes, which left him wheelchair bound, he died on 1 January 1968 at Kojonup, aged 71. Ralph Honner was one of Australia’s greatest second world war battlefield commanders. His distinguished career saw service in North Africa, Greece, Crete and his decisive role he played in the infamous Kokoda trail battles. Peter FitzSimons described Honner as a most fascinating character. The 39th Battalion who were dug in at Isurava in disorder when Ralph Honner arrived in the nick of time to instill confidence, courage and battle field tactics to halt the advancing Japanese until the AIF arrived to relieve them. Ralph was a great and respected leader, who didn’t assert his authority by pointing to the pips on his shoulders, he didn’t below and shout his orders, he instead led and inspired his men by living the battle through their eyes not asking any one to do anything that he wouldn’t do himself. Isurava where the 39 didn’t have enough troops to hold the perimeter he placed his men in strategic locations and rehearsed their counter attacks. The counter attacks relied upon neighboring companies assisting to thrust the Japanese off the position. When Honner’s men of the 39th seen the tactics working they grew in confidence and became one of the most famous fighting forces from the Kokoda track campaign and the pacific war. Honner arrived at Gona with his depleted but confident 39th Battalion and saw first hand the disaster that was unfolding before them. The 21st Brigade who were accused of cowardice by Blamey were throwing themselves upon the enemy position across open ground or wading through swamps in what was deemed to be absolute suicide attacks. Honner took one look and that was enough to prove to him battle plans need to change. Honner come up with the tactic of delaying the charge of the artillery until it penetrated the earth which allowed his 39th Battalion to surround the Japanese unknowingly and when the artillery had ceased his men pounced upon them wiping out the Japanese and capturing Gona. Honners famous wire stated “Gona’s Gone”. After the Kokoda track campaign Honner went on to command the 2/14 Battalion in the Ramu Valley (NE New Guinea) until he was seriously wounded in the hip seeing the end to his fighting days. 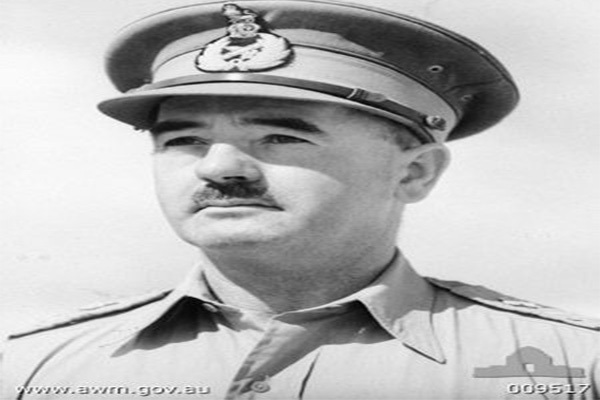 Well respected Australian military historian David Horner describes him as “Honner was not just a capable commander: he was a man of integrity, honour and faith.He needed to be, as he led his men through events of such stress that they were to dominate the memories of the survivors for the next half a century”. Come and stand on the ground were Honner and his men faced the Japanese with our Kokoda trail tours. Major General Ken Eather CB, CBE, DSO, ED was born on 6 July 1901 and died on 9 May 1993. 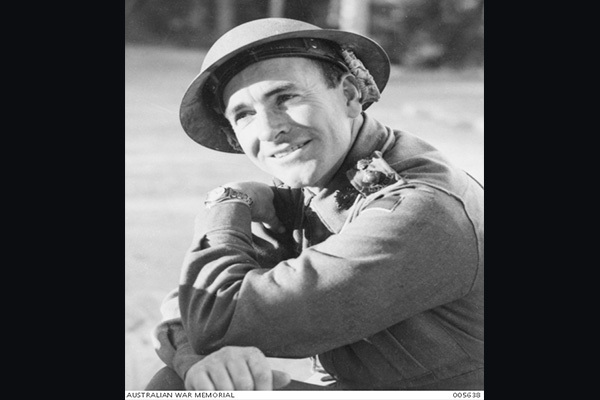 Ken was an Australian soldier who served during World War II, rising to the rank of major general. Ken took part as Brigade commander on the Kokoda Trail and Northern beach heads. During the Kokoda Trail campaign Eather’s forces met the Japanese in Battle on Ioribaiwa. Eather, inexperienced in jungle warfare, was defeated and compelled to retreat. During the engagement on Ioribaiwa the 3rd Militia Battalion were caught napping when they were digging their fox holes. The 3rd had no centuries observing for moving enemy and had left their weapons out of reach away from where they where digging. The Japanese jumped on this opportunity and wedged themselves in between the Australian front line. More crucially they now held the high ground for the entire front which allowed them to rake the Australians with machine gun fire. The Australians counter attacked on a few occasions but were unable to dislodge the Japanese. Brigadier Kenneth Eather asked for permission to fall back to Imita Ridge for a firm base to launch a counter offensive. Permission was reluctantly given but Tubby Allan’s order was stern and stated that no further withdrawal was possible. This was essentially the Australian’s last stand. From Imita Eather’s 25th Infantry Brigade pushed the Japanese back over the mountains although this was at a slower advanced rate than that of the Japanese advance and Blamey made this well known to his commanders. In November, Eather and the 25th Brigade meet the Japanese in the Battle of Oivi-Gorari with a decisive victory at low cost to his own men. Eather and the 25th Brigade pursued the Japanese to the coast for the Battles of Buna-Gona. Eather’s men suffered heavy casualties from the enemy and tropical diseases, the 25th Infantry Brigade being almost wiped out. 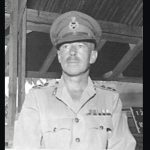 Eather was awarded the United States Distinguished Service Cross and he was also appointed a Commander of the Order of the British Empire for his service during the Papuan campaign. Eather learned quickly that speed was one of the keys to dispersing the Japanese and while in command in the Markham Valley he was unimpressed with the speed of the advance. Eather himself carrying a pistol led a column of his men as lead scout marched them hastily into Lae unopposed by the Japanese only to be strafed by the U S Air Force and shelled by our own Australian artillery. This earned him the nickname of Par Lap from his own men. Eather became concerned at the way Vietnam veterans were being treated by some veterans of World War II, and made a point of appearing at Anzac Day marches and RSL events with his adopted son Owen Eather. Eather continued to lead Anzac Day marches through Sydney until 1992. Eather died at a nursing home in Mosman, New South Wales on 9 May 1993. As the last surviving Australian general of World War II, he was given a military funeral at St. Andrew’s Cathedral, Sydney.